Don’t you just love when you open your kid’s lunch box after school and it’s empty? It’s not always the case in my house because my boys would often rather run around the schoolyard or talk with friends than eat. However, if they spot something they absolutely love in the lunch box, they eat it no matter what. 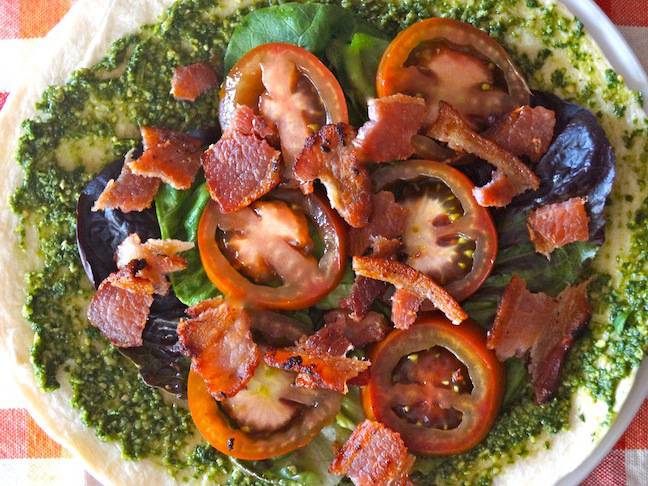 This BLT pesto wrap is exactly that! 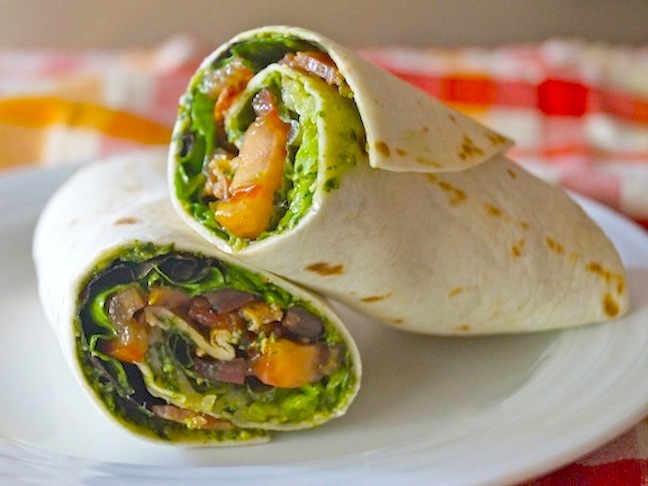 This wrap is packed with flavour, quick and easy to make, and holds up perfectly in a lunch box! 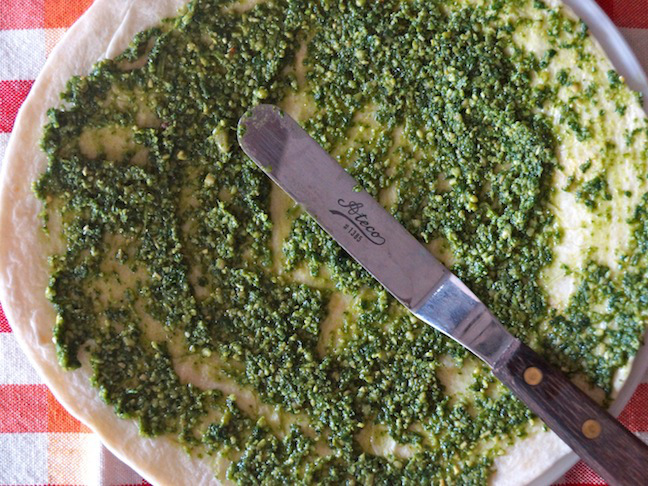 You can use any pesto you like for this recipe, either homemade or a good quality store-bought pesto like Barilla. 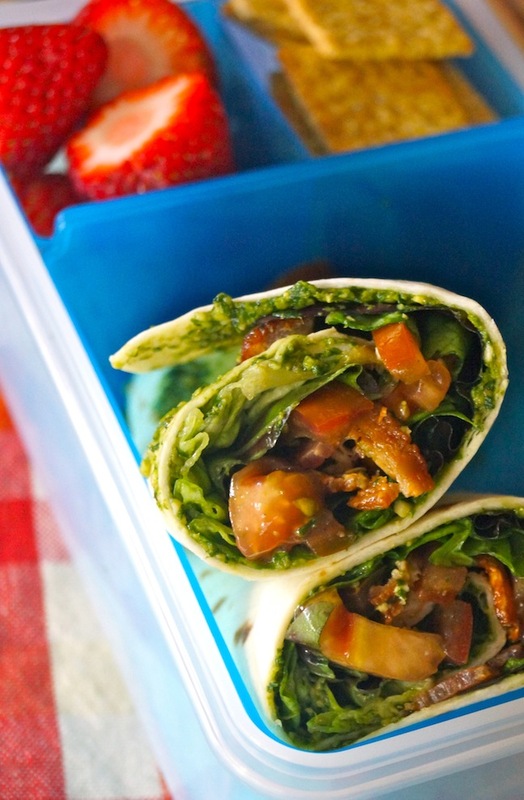 This wrap is packed with flavor and holds up well in lunch boxes. Notes: Flour tortillas are typically the softest and easiest to roll, but you could certainly use gluten-free tortillas as an alternative, such as corn or rice. 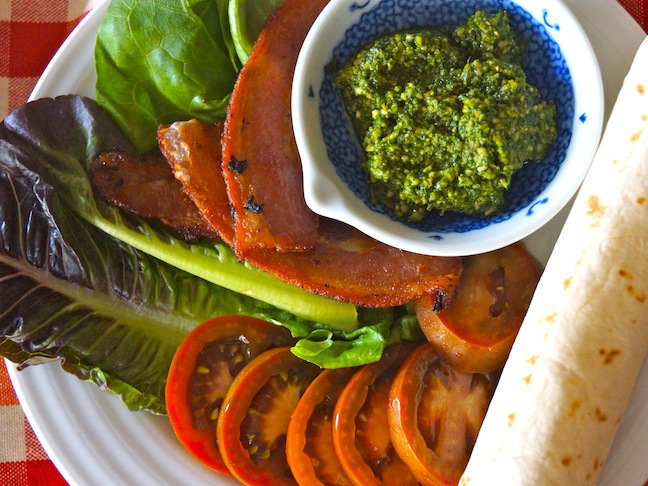 Ready-made sandwich wraps also work well. 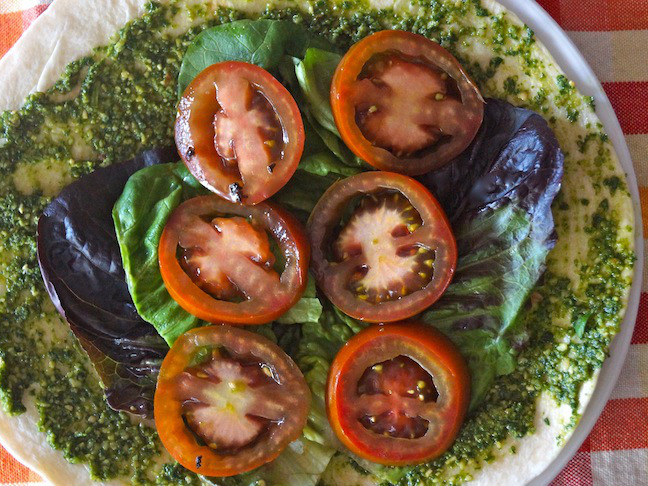 Step 1: Spread the pesto evenly over the tortilla. 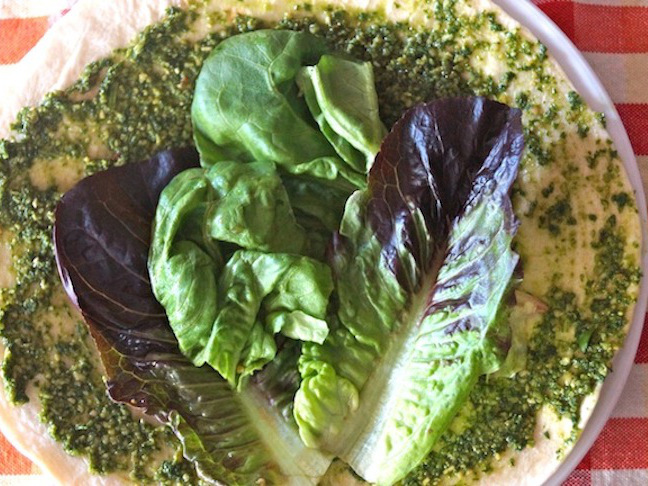 Step 2: Add the lettuce. Step 4: Crumble the bacon and sprinkle it over the top. Step 5: As tightly as possible, roll the tortilla. 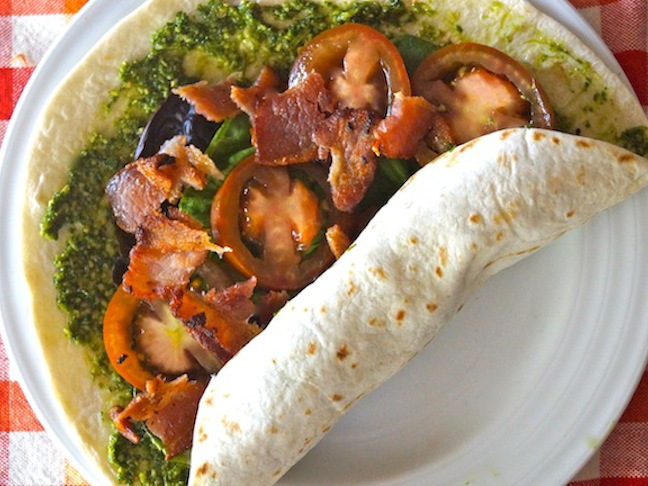 Step 6: Slice the wrap in half and serve, or place it in the lunch box.